Investing is challenging for a number of reasons. One reason is that it takes unique insights to succeed. Another reason is that it is important to pay attention to the ideas of others so that you can be on the right side of major trends. This might sound like contradictory positions. But it does line up with the way major price trends unfold. At the very beginning of a trend and at the end of a trend, the majority of investors will be wrong. But, in the middle of the trend they will be right. It takes the majority of investors to push prices up or down in a strong trend. 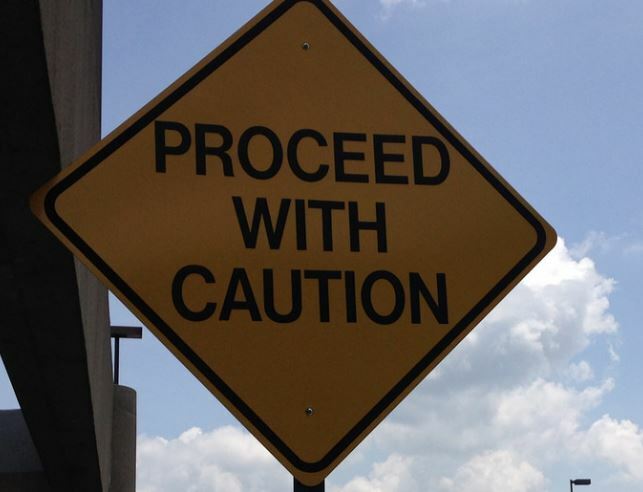 At the end of a trend, a few large investors are usually acting ahead of the majority of other investors and their actions are large enough to affect the market action. It’s always been this way. Charles Dow called the early movers the “smart money” and noted they accumulated stocks as prices bottomed and distributed their shares by selling as tops formed. They were ahead of the crowd. The smart money in the modern markets is the large investors which includes major asset management firms. Some of the largest asset managers are now bearish. 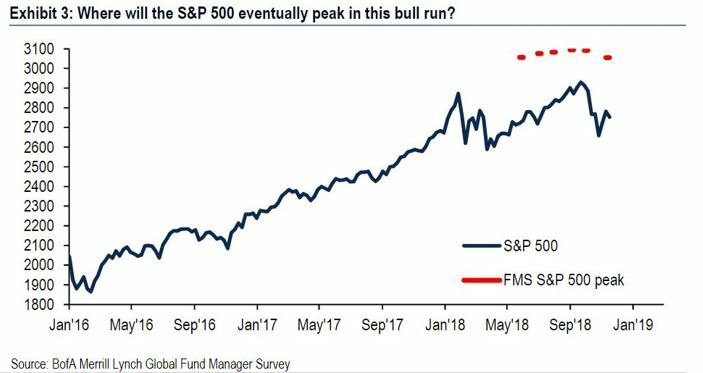 According to ZeroHedge, “UBS’ wealth management oversees $2.4 trillion in capital and entrusted by some of the world’s richest, is poised to underweight stocks as real money and systematic investors pare risk amid flagging bull-market momentum. According to Andreas Koester, head of global asset allocation at UBS Wealth, the quantitative-investing platform is close to trimming its equity holdings to 20% from a neutral 50%, a shift that would lead to an avalanche of selling as hundreds of billions in stocks are forced to find a new home. The reason why the so-called Systematic Allocation Portfolio is about to move the relative safety of cash and high-quality bonds over growth-sensitive assets, is due to a deteriorating mix of signals from GDP, PMIs, corporate earnings and retail sales. The bearish signals from the data-crunching robot are similar to growing warnings on Wall Street about the global economic trajectory even as other robots in the form of commodity trading adviser quants are forced to lighten up on U.S. stock allocations as volatility picks up, resulting in even more selling. “At the moment, the momentum signal is strongly negative,” Koester told Bloomberg. The firm’s market model is shown below. Bank of America agrees that the decline could continue. 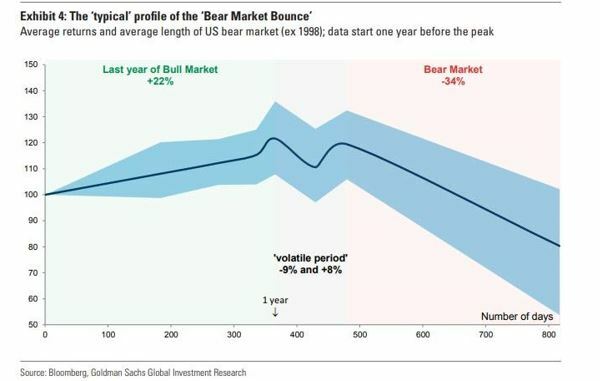 MarketWatch reported, “Michael Hartnett, chief investment strategist at Bank of America Merrill Lynch, who advises a cautious approach because he doesn’t think stocks have touched bottom. 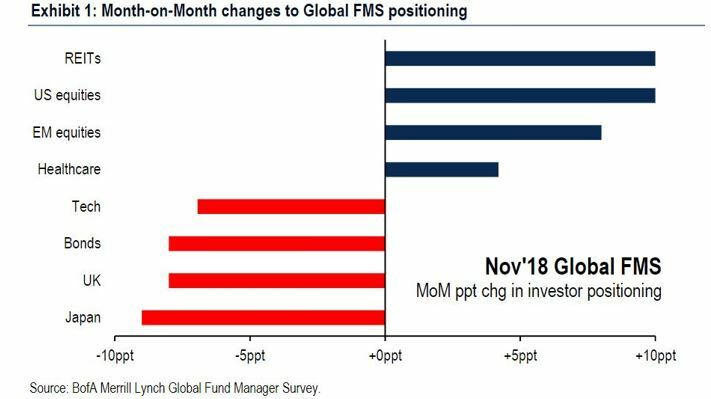 “We remain bearish, as investor positioning does not yet signal ‘The Big Low’ in asset markets,” says Hartnett, in the bank’s closely watched November fund manager survey. The survey also showed that U.S. markets were once again the most favored equity region, with allocation climbing 14 percentage points to a net overweight of 14%. Cash levels also dropped in November to 4.7% from 5.1%, meaning investors bought into that October correction, upping exposure to U.S. and emerging-markets stocks, REITs and health care, which is now the No. 1 overweight, in the survey. Cramer said that the economy is solid and has championed the idea of the Federal Reserve’s pausing, or at least slowing down, its interest-rate-raising initiative to assess current market conditions, aligning himself with President Donald Trump, who has lobbed a number of criticisms at Fed boss Jerome Powell’s plan to normalize interest-rate policy from crisis-era lows. Steve Cohen, the billionaire hedge-fund investor, is the latest high-profile Wall Street player to remind us the boom times have a shelf life according to MarketWatch. Cohen spoke recently at a fundraiser according to the Financial Times. Cohen is controversial. His SAC Capital Advisors firm pleaded guilty to securities fraud in 2013 and recently raised $5 billion for his new fund. That’s a reminder to all of us that it could be best to ignore the fact that Buffett is buying and bullish. Dangers are high and hedgies like Cohen could be best prepared for upcoming market conditions.